Ugg and Terret are two ogres who live under this bridge. Usually they ignore the townsfolk who tend to pass through the day, as they know that people usually flee or attack them on sight. They live off the game in the forest and scavenging whatever they can find. Everything changed recently when a small band of goblins came and talked the ogres into charging a “fee” for crossing the river. The ogres have little understanding of the mechanics, but the goblin leader Trinkell has given them a script to tell travelers and merchants. The ogres are to tell people that the winter is soon upon them, and as such, they have decided that instead of attacking and pillaging, they can just take some stuff and avoid confrontations all together. It has worked, most of the time; the townsfolk have felt robbed, in a way, but at the same time they see that these ogres aren’t actively harming anyone. Ugg and Terret are not having fun and only Trinkell’s suggesions keep them from running out of control. If the PCs speak with the ogres they hear the script and can decide to give some stuff as fee. If the PCs question the ogres in any way, things can spiral out of control: to start, they don’t have a good grasp of the common tongue, and truthfully, have no real answers to any questions. They aren’t even sure why this whole venture is even working so far. If problem arises, the ogres attack and the goblin band will aid them immediately. Some of them are hiding under the bridge while some others are on the trees. 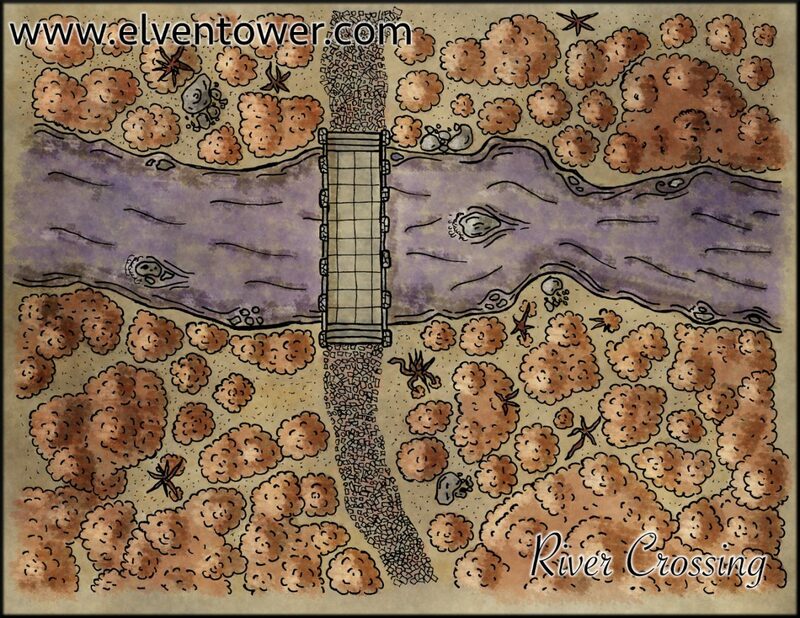 This scenario is perfect for a level 2-4 party depending on the exact number of goblins and their positioning and strategies.